Most mission trips to a community start with a vision trip. The vision trip is exploratory in nature and used to allow God to show us what He wants us to be involved in. The vision trip took place on May 28th 2015. 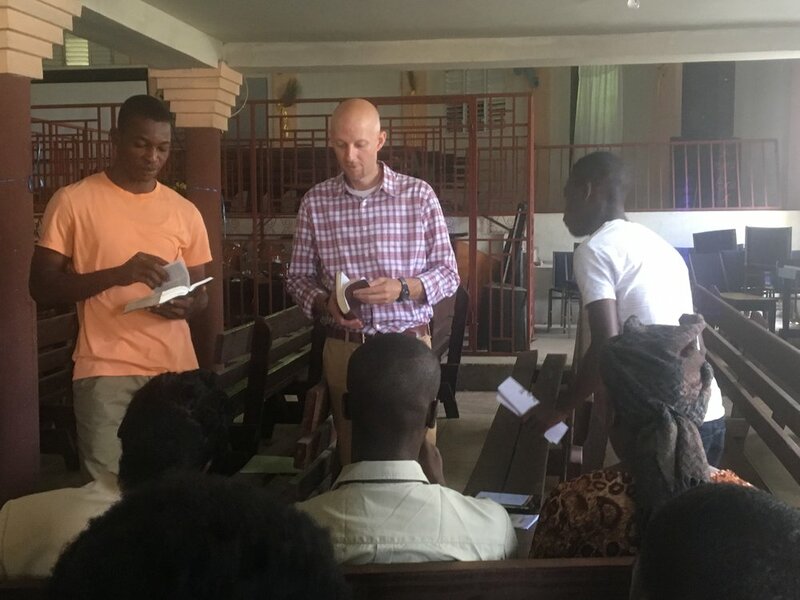 During this trip and the months following, we felt led to do leadership training and a medical clinic for the pastors/leaders attending the conference. Fast forward to September 2017. Leading up to this date, we met regularly and had prepared for several months. We had 5 team member on this trip. The conference would bring 200 pastors and leaders together for leadership training. 1. Notebooks – a sponsor purchased them. 2. 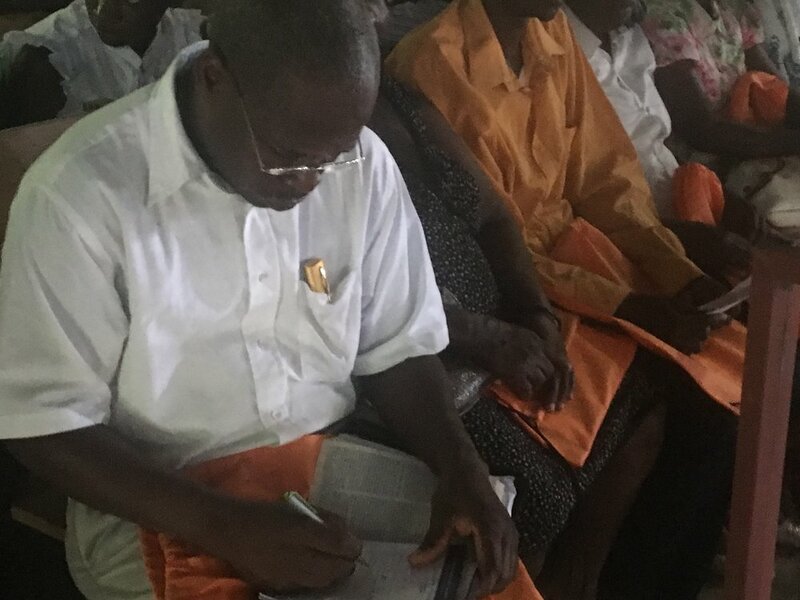 Backpacks for the pastors – a sponsor purchased them. 4. Two devotional books in the Creole language. A church in Arlington Heights IL donated 4000 copies each and they paid for books to be shipped to Haiti. 5. Medicines purchased in Haiti with funds raised by team members. By purchasing them in Haiti we help support the local economy. Our flights were scheduled to depart on Saturday 16th September 2017. The day before we got a call from the travel agent that our flights were canceled. The airport in Cap Haitien wasn’t operational due to hurricane Irma making landfall in Haiti the week before. I called the pastor in Haiti, Pastor Jephthe Lucien, to let him know we would need to postpone the trip. During that conversation, he suggested flying into the Dominican Republic (DR). He would meet us in the DR and drive us over to Haiti. After consulting the travel agent, that’s what we did. This was just the start of the trip and should have indicated to us what kind of trip we were in for. It was a mission trip – things are not supposed to be comfortable and everything work out smoothly. If that happened, it wouldn’t be a mission trip, right? It would be a vacation. We were not on vacation. There were several glitches along the way but we focused on trying to be faithful to what God had called us to do in Haiti. Some of the situations not working out as planned gave us opportunities we wouldn’t have encountered. 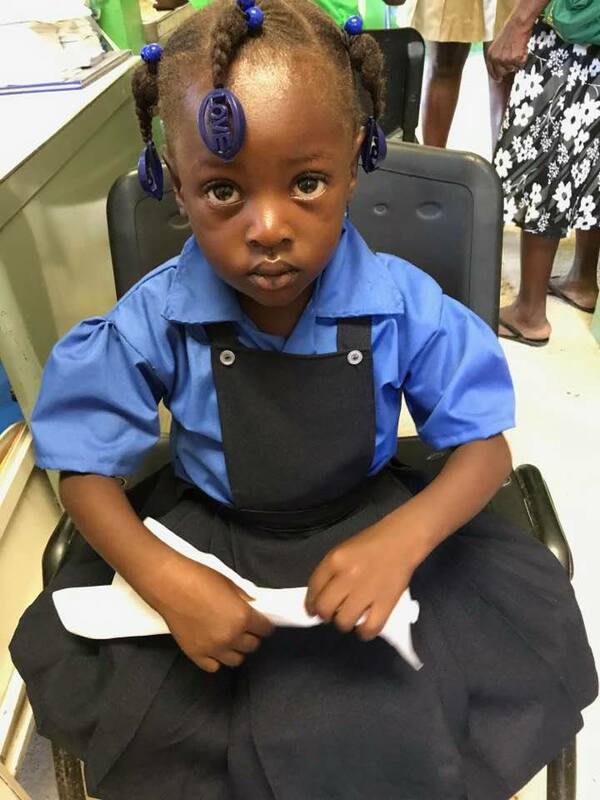 For instance, because we had to fly in the DR, we had the opportunity to attend a church service at a Haitian church in the DR – a church plant of the pastor in Haiti we were visiting. Corey got to preach the sermon that first Sunday morning in the DR and his message helped all of us to keep perspective. His sermon was about “Faith Over Fear” from Matthew 8:23-27. The conference was extremely well received and the clinic was much needed. Our team was impacted as well by the warm reception of the people. The conference was organized into three small groups and we rotated the groups during our sessions. We also had plenary sessions in the evening. The leaders there were hungry for the Word of God and were able to ask questions in the small group sessions. These smaller sessions also allowed our team to interact with the leaders and this seem to deepen our desire to pour into the leaders. Pastor Jephthe later told us how much he enjoyed the format and content of the conference. He had not experienced the way we did it and was very excited about implementing that structure in future conferences. The time went by quickly and the last night of the conference was especially meaningful. They setup chairs just off the stage for the team to sit. The leaders all stood around us and prayed for us. Each person was praying out loud and all at the same time. It lasted several minutes and was this blend of voices going before the throne of God on our behalf. A very humble and moving experience. It reminded me of Acts 3:6 “Then Peter said, ‘Silver or gold I do not have, but what I do have I give you. In the name of Jesus Christ of Nazareth, walk.’ ” The Haitians gathered around us didn’t have silver and gold but they had a relationship with Jesus Christ that afforded them the privilege of praying for us. The clinic was held on site at an already established free medical clinic, which was started by Pastor Jephthe. There is one Doctor there during the week. To accommodate the large group of 200 pastors, our team raised funds to bring in an additional doctor, 2 nurses and our nurse Kim. The clinic was a blessing to both the pastors and ourselves. It was a blessing to see God's love shown to and from the Haitian people. 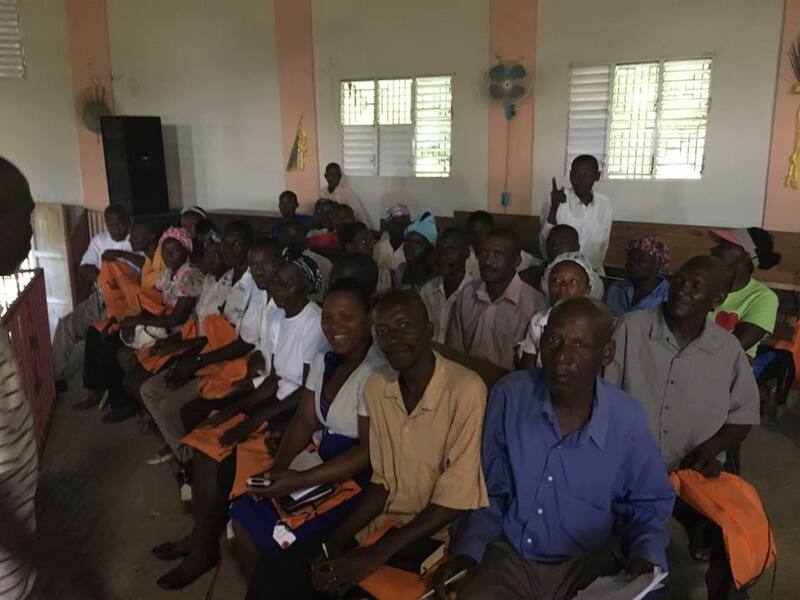 The Haitian pastors were able to receive free medical exams and the medications they needed. Also, if any follow up care would be needed, the clinic MD will be able to have the pastor return. I believe God has planted seeds in Haiti through our ministry over there but I’m even more certain of the seeds planted in the hearts of the team that went to Haiti. As far as we can tell, God’s not done yet. May He be glorified in all that we do for Him as we respond to His calling.